Left everything super last minute for this October half term? Like us, you might have flirted with going away but not got around to booking it. And now that the half term’s crept up ever so stealthily and is actually upon us, you’d be forgiven for presuming that all the prime half term holiday spots are booked out solid. Not so. We’ve found some cracking last minute gems languishing in lands perfect for adventure and brimming with unusuality. Have a look at our top October half term accommodation STILL available! This cosy off-grid cabin is the perfect base to explore the Brecon Beacons and the surrounding area. Charmingly snug, this tiny hut is perfect for a young family of four, sleeping 2 adults and 2 small children (the sofa transforms into two 120 x 95 cm beds). The log stove will keep you toasty warm after a day in the National Park with plenty of board games for family down time. With solar lamps, and USB chargers, this off grid hut will bring you peace and tranquility but still lets you charge your mobile phone! Hike the incredible Breacon Beacons, mountain bike nearby Brechfa Forest or follow the trail to beautiful lake, Llyn y Fan Fach, a place of legends. Kids will love the nearby Red Kite Feeding Centre, where wild red kites are fed everyday at 3pm. Autumn is arguably the most perfect time to visit the Highlands of Scotland when the incredible scenery takes on a dramatic turn with rich Autumnal hues and there’s not a midge in sight! Families seeking wild adventure should head to the Isle of Lewis, the largest island of the Outer Hebrides, where this beautiful traditional Hebridean cottage is STILL available between 21-27 October. 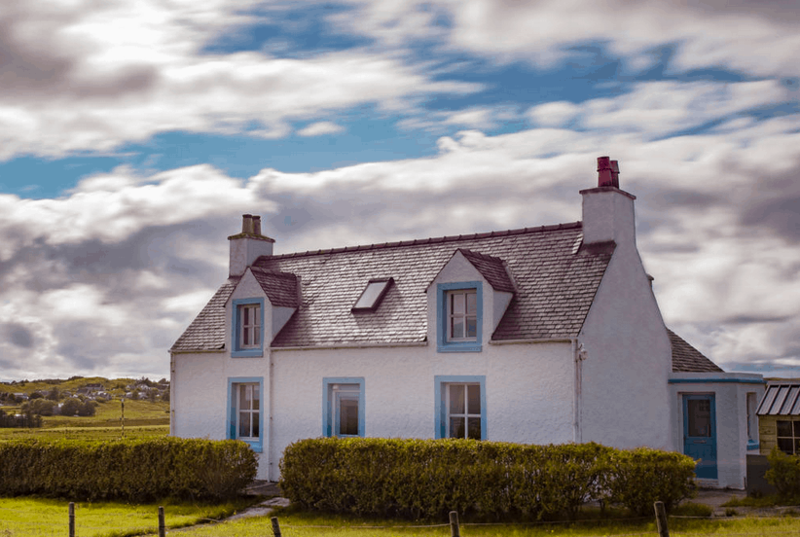 Hebrides Cottage, overlooking Stornaway harbour and with magnificent panoramic over the famous Minch strait, has been beautifully renovated inside – ideal for families! Grab a fishing line, pull on your hiking boots, visit ancient Neolithic sites, take a boat trip or simply wander the sands on numerous remote empty beaches. Absolute heaven! How do you get to the Isle of Lewis? Take a 2 hr 45 min ferry from Ullapool on the West coast of Scotland. If the half term weather is kind, then don’t rule out a stay in one of the numerous National Trust bothies. Bothies, remote huts built for refuge and shelter, are extremely basic but often situated in truly magnificent locations. 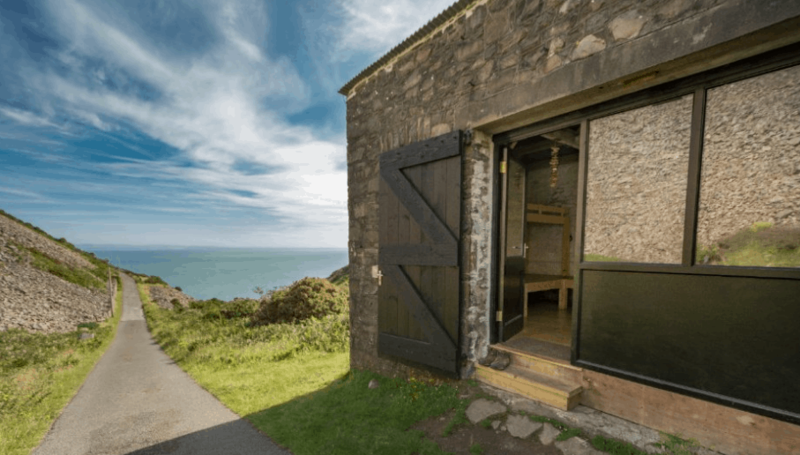 Foreland Bothy, perched on the Devon coast on the South West coast path at Lynton, is still available on Mon 23 and Thurs 26th. One night is all you’ll need as a family to feel like true adventurer. With no heating, treat this bothy like a tent with walls – basic but oozing adventure. Bring a good 4 seasons sleeping bag and a decent roll mat and curl up to sleep with the sound of waves crashing far below. National Trust bothies cost a mere £20 a night! All bedding and food need to be brought in. 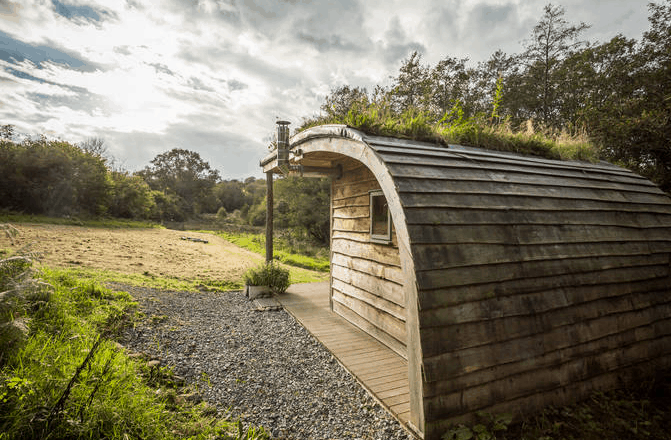 Composting toilets are outside. Sound like your style? Check out more of the National Trust’s bothies and bunkhouse here or call 0344 800 2070. 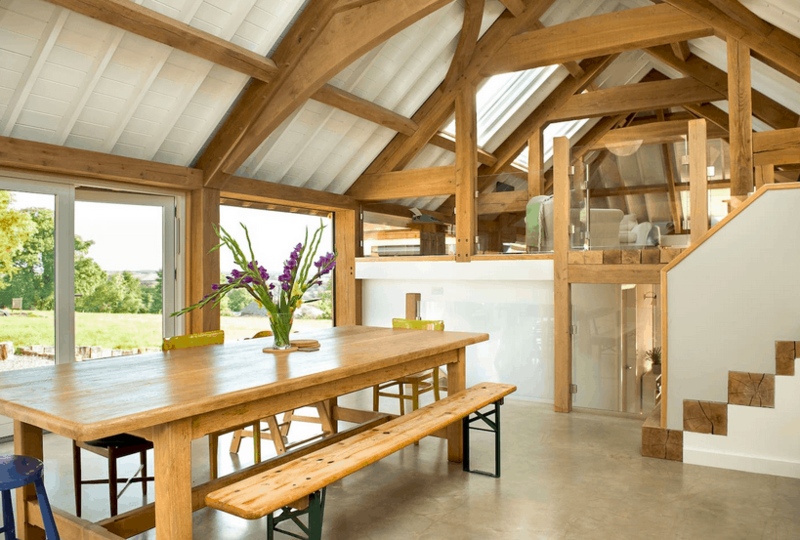 This Airbnb award winning barn conversion in Cornwall looks amazing for families! Perched on the edge of Dartmoor National Park, it’s ideally situated for hiking the wilderness of Dartmoor but equally perfect for reaching the stunning beaches on the Cornish coast or a trip to the Eden Project. The owners, who have young children, sound like our kind of people – they love campfires in the garden, stargazing and walking the coastal paths. This sustainable conversion has a simple contemporary interior boasting underfloor heating from ground source and incredible vistas from huge glass windows. As parents of young children, the owners have made Hinterland House extremely kid friendly. And – check this a trail from the house leads to Tamar Otter Park. Boom. Do you have a favourite place to stay near a National Park, on a remote island or buried deep in the wilderness? Let us know, we’d love to hear about it!